Those groping hands just reek of malice. 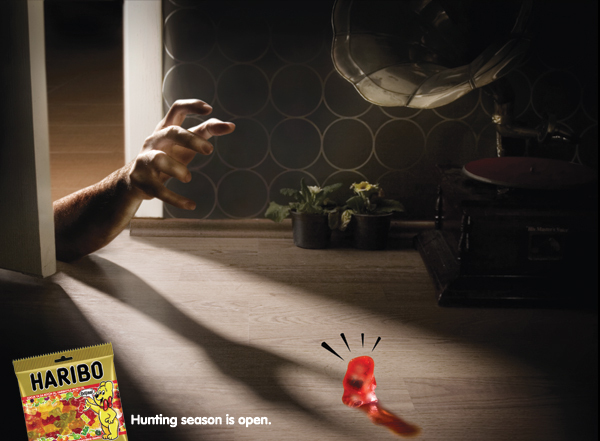 The worst part is, we can't decide whether to swear off gummy bears in defense, or buy a pack right now. Because come on, the red ones are best. And then it hit us: Men's magazines? Really? We would never have guessed. Check out the third print variant.